The Jersey chair is strong and well built for heavy use. You can customise the seat to match you interior or existing furniture. The chair features an attractive curved back with small hole slots. 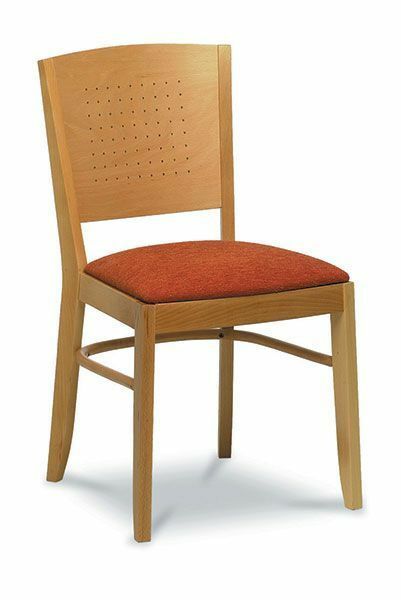 Highly attractive and unique commercial grade dining chair. This chair is suitable for any upmarket cafe or restaurant establishment. Curved back and extra padded seat for a comfortable sit.